Diclofenac helps treat muscular and rheumatic pain. It is used in several products and comes in different forms: tablets, capsules, gels and creams. These products are readily available, you can buy them over the counter and they are suitable for overseas delivery so you can find relief from the troubling sensation of pain anywhere you are. Body aches are often a common symptom of illnesses, they can also be a sign that something isn’t functioning as well as it could be. In most cases, body aches are characterized by soreness of the muscles. And can be better understood by determining the signs and symptoms. So, once you have determined these, you can then find the most effective treatment. An ache is a type of dull pain or soreness which may happen to a certain part of the body. The most common occur around the head (headaches), the back (back pain), the teeth and jaw (dental pain), and on the lower part of the abdomen (period pain). It usually involves pain in one or more muscles. In some cases, this may be caused by stress on the muscles which then aggravates muscle soreness. Body aches can be a result of a more serious condition such as fever, flu or colds. Often pain results in an overall decrease in mental and physical performance, thus slowing you down. Diclofenac is a nonsteroidal anti-inflammatory drug (NSAID). It works by reducing substances in the body that cause pain and inflammation. Diclofenac helps to treat mild to moderate pain, or signs and symptoms of osteoarthritis or rheumatoid arthritis. It helps to reduce the pain experienced to assist you to get through your normal daily routine. So now you know about what Diclofenac can be used for, what product containing Diclofenac can you use? 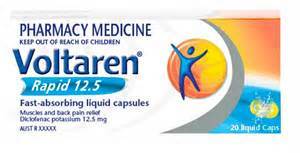 Voltaren is a common pain reliever that is available over the counter, making it readily available. It comes with a variety of pain relief products that helps alleviate body aches and muscle soreness. It can also be used to fight symptoms of cold, flu and fever. Voltaren tablets or liquids may be prescribed to help with gout or joint inflammatory disease for adults and children. 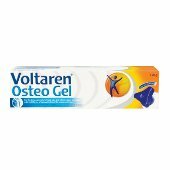 Voltaren gel, on the other hand, is a topical treatment that is applied on the body to treat muscle aches and pains. Therefore targeting the specific area that needs treatment. What are the different Voltaren products to choose from? Voltaren comes in different forms, it can be bought over the counter and is suitable for international delivery to help relieve body aches and pains. Using Voltaren can help you go about your normal day-to-day activities. The type of pain you experience will determine which product is right for you, below are some Voltaren products and their uses. 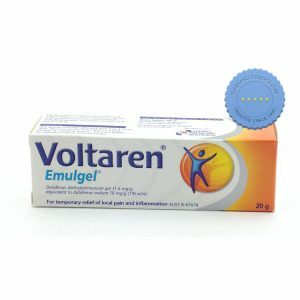 If you are experiencing inflammation of muscles, joints, tendons and ligaments then Voltaren Emugel is the product for you. It helps with muscular injury, including back, neck and shoulder pain. In a specially formulated gel, this is suitable for adults and children over 12 years old. Applied directly on the skin, it helps alleviate pain. This is applicable for two weeks of use. If you experience occasional pain and inflammation in mild forms of osteoarthritis of the knees and fingers Voltaren Osteo Gel could be your answer. This comes in an easy to open tube and is good for mild forms of osteoarthritis. It is suitable for adults and children over 12 years old. This is applicable for 3 weeks of use. If mild to moderate muscle, back or rheumatic pain is slowing you down Voltaren Rapid 12.5 Liquid Capsules could be right for you. It comes in a fast absorbing, easy to swallow liquid capsule. This is suitable for adults and children 14 years old and over. 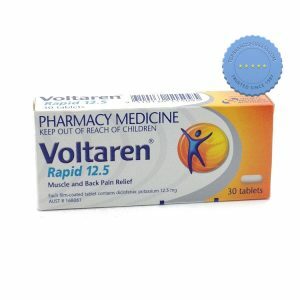 If fast relief from mild to moderate muscle, back, and rheumatic pain is what you are searching for Voltaren Rapid 12.5 tablets are fast acting, therefore helping to restore movement sooner. Suitable for adults and children over 14 years old. So you don’t have to suffer in pain. Take Voltaren, enjoy the benefits of Diclofenac and give yourself relief from the aches and pain.